Is The Lord Here With Us Or Not? 1 At the Lord’s command, the whole community of Israel left the wilderness of Sin and moved from place to place. Eventually they camped at Rephidim, but there was no water there for the people to drink. 2 So once more the people complained against Moses. “Give us water to drink!” they demanded. 5 The Lord said to Moses, “Walk out in front of the people. Take your staff, the one you used when you struck the water of the Nile, and call some of the elders of Israel to join you. 6 I will stand before you on the rock at Mount Sinai. Strike the rock, and water will come gushing out. 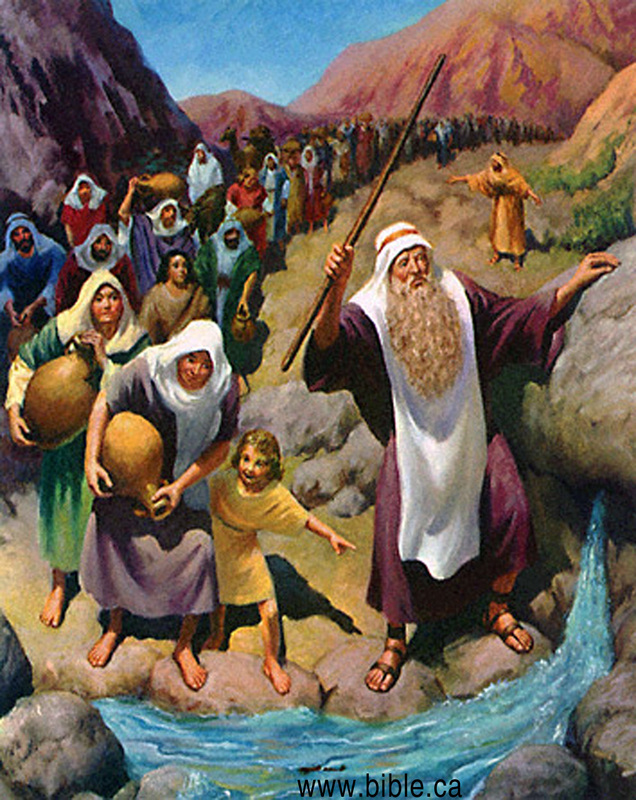 Then the people will be able to drink.” So Moses struck the rock as he was told, and water gushed out as the elders looked on.